Need some new magazines to read? 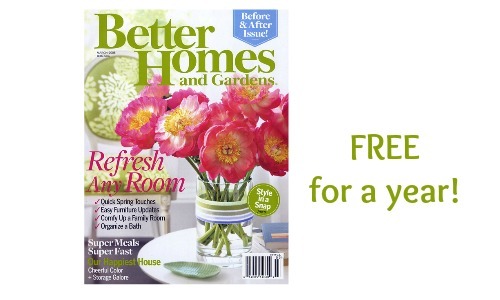 Get Better Homes and Gardens magazine FREE for a whole year when you answer this short survey! This survey only takes a couple minutes and you can even some additional business related magazines if you desire. Better Homes and Gardens is a great magazine and has wonderful tips on keeping your garden through the year and beautifying your house. There is no billing information to fill out and they’ll never ask you for a dime! Your first copy will come in 6-8 weeks.